ON A COOL OCTOBER night at a family party celebrating Charlotte musician Lenny Federal's 50th birthday, his mother Mary Virginia Federal remarked to a guest, "We left Charlotte with three kids and came back with nine." With perfect timing, her husband Keegan leaned in to add, "You do know that we're Catholic, right? I don't want to seem irresponsible." He slapped his knee and laughed at his own joke, and the guest couldn't help but join in. That was 15 years ago. Keegan Federal has since passed on. Lenny is now 65. And this week, Mary Virginia turns 100. The invitation to her birthday celebration on Jan. 28 includes the note, "No gifts please." While the request is certain to be ignored by many, one truth is very clear to those attending: Mary Virginia Federal IS the gift. A week after the swearing in of a new president, whose hallmark is conspicuous consumption, and for whom the primary descriptor of his cabinet choices is the number of commas between their dollar signs and decimal points, it is comforting to highlight the accomplishments of a woman whose wealth is measured by the love she sends to others and the vast return she receives on that investment. If you buy that premise, it could be argued that Mary Virginia Federal is the richest woman in Charlotte. Through the cornucopia that is her family, Federal has made significant contributions to this city, not the least of which is its music tableau. 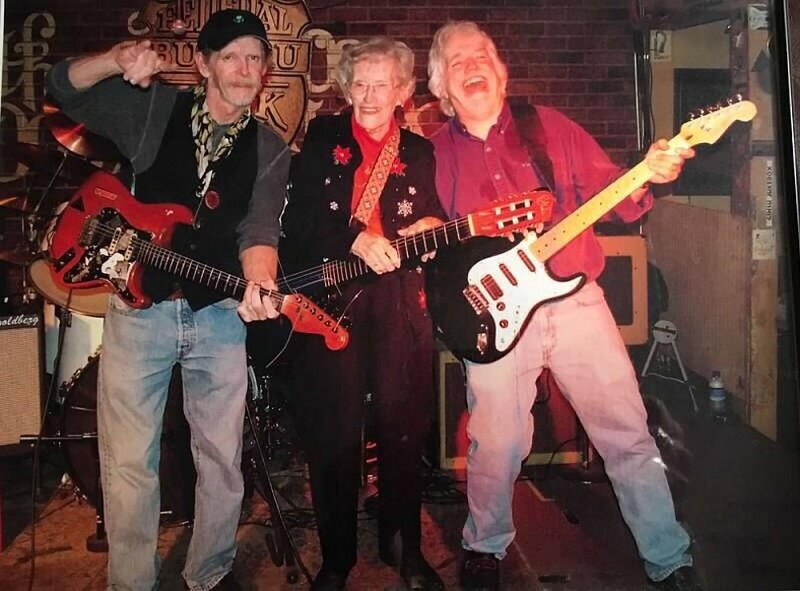 She is the mother of prominent local musicians Michael and Lenny, who have been, individually and together, a staple of the Charlotte music scene for over 40 years. 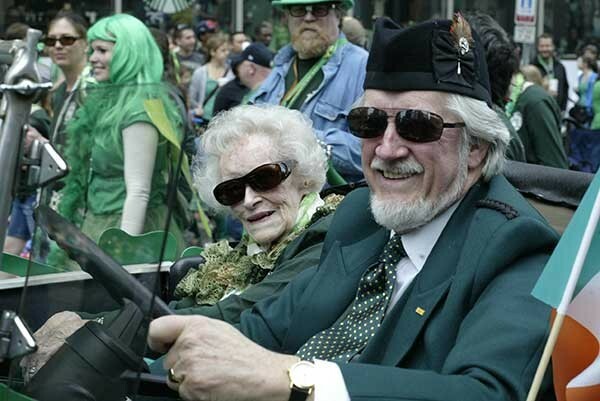 More than that, Mrs. Federal is the matron saint of a family so deep and wide now that it's commanded its own float in Charlotte's St Patrick's Day Parade for the past decade. From their Irish origins to their arrival in North Carolina by way of Pennsylvania, the Federals are – and this is meant in a good way – the kudzu of County Clare; ever-growing, ever-impactful. Save for a relatively brief interruption, for the past century the Federal story is a Charlotte story. Those nine children that Mother Federal mentioned are Keegan Jr., 74; Michael, 71; Ann, 69; Molly, 67; Lenny, 65; Kathleen, 63; Marian, 61; Joan, 59; and Mark, 57. With the exception of Keegan, who is based in Georgia, all live in Charlotte. From that core are 25 grandchildren and 19 great-grandchildren, to date. Those offspring are more spread out, but they all know the way home and travel here frequently for family events. But wait, there's more. The branches of the Federal Army, as Keegan Sr. liked to call them, extend exponentially through marriages and all the relations they entail, as well as through legions of friends old and new who have gladly enlisted. On any given sunny St. Patrick's Day, the Federal Clan can swell to 200 or more. "I do not know any other families who have had a float like that and have brought their family together from all over to participate in it every year," says Charlotte Mayor Jennifer Roberts. "They are very unique in that way." One tends to feel adopted around the Federals, and that is never more evident than when Mary Virginia would go to the Double Door Inn or Comet Grill to see one or more of her offspring perform music. Family members have learned to wait their turn as others mob to share time with her. And without forethought, she treats each one as if he or she is the most important person in the room at that moment. "I try," she says. "Because it's so terrible when you're talking to someone and they're looking around. Have you ever had that experience? It's a terrible feeling." To use a current buzz term, she's mindful. But that isn't new, nor is it a fad for Federal. It is at the center of her ability to connect. "When I'm talking to somebody, I'm thinking about them." Consciously or otherwise, her family does the same. When asked who her favorite child is, she is quick to say there isn't one. "You can't have a favorite. They are all my favorites." Three of Federals daughters sitting in the room with her shake their heads, quickly acknowledging the veracity of that statement. IF IT'S A LONG way to Tipperary, as the song goes, it's but a wee bit closer to County Clare, which lies just west on the Atlantic coast in Ireland. That's where Mary Virginia Federal's paternal grandfather, Michael Buckley, lived before he emigrated to Reading, Pa., in 1849 with his mother and two brothers. Her parents grew up in Philadelphia but moved to Richmond, Va., where Mary Virginia was born. The family relocated to Charlotte in 1917 when she was six months old. Two younger siblings, brother George and sister Trudy, were born here. 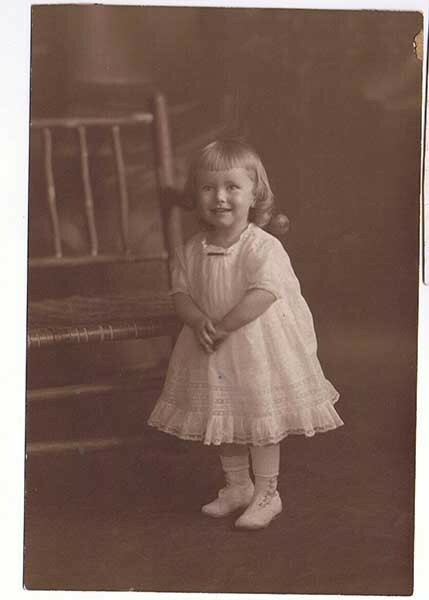 As her second birthday approached, in 1919, a photo portrait was scheduled, and Mary Virginia Buckley traveled with her mother and aunt Jenny from the family home on Dilworth Road West near Magnolia Avenue to uptown Charlotte to purchase a new pair of shoes for the occasion. The shop on Tryon Street featured long rows of back-to-back seating that divided the store with customers on both sides. When Mary Virginia's aunt responded to hearing the cost of the shoes by saying, "Oh, isn't that fierce?" a woman on the other side recognized the Philadelphia colloquialism and accent. It was Margaret Federal, and her family had roots there as well. The Buckleys and Federals soon discovered that the families had been acquainted back in Pennsylvania. Margaret Federal had several of her eight children in tow, one of them being Robert Joseph Keegan, who was 16 months older than Mary Virginia. The families became close friends and saw each other often. Yet no one at the shoe store that day would have ventured that this was the day Mary Virginia met her future husband. To hear her tell it, it took Keegan a while to figure that out himself. "We were always with the same group of kids and we were the only Catholics in the crowd," she says of their school days, but adds that Keegan never asked her out. Things began to change during a skating excursion on what she calls "a good hill" near the then-new Mint Museum, the state's first art institution, which opened in 1936. When one of the boys returned with his car to give the tuckered-out skaters a ride home, they piled in quickly, leaving her without a seat. That's when Keegan invited her to sit on his lap, telling a friend later that Mary Virginia was "a good sport" about it. Recounting the story, she chuckles at his choice of words. "A good sport? Can you imagine that?" Strong, lean, and athletic, Keegan would be the president of his senior class at Central High School in 1934. Still, she says, it took a while for him to finally ask her out on a proper date. Both were out of school and working, he for General Dyestuff Company as a chemist and her in the office at Fidelity & Casualty, an insurance company. But once he got up the nerve, he knew she was the one. 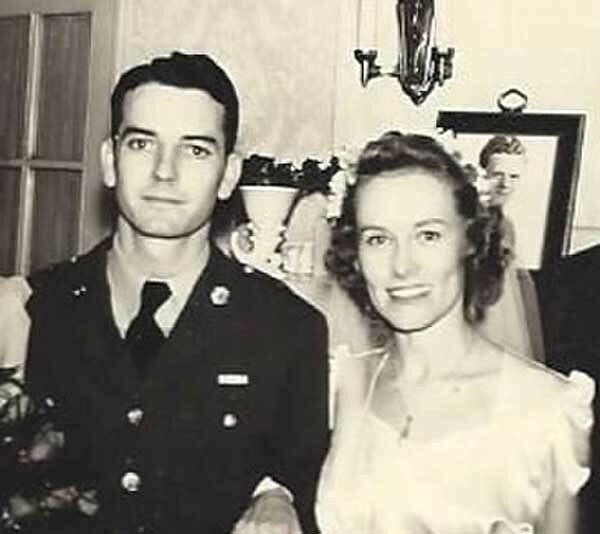 They married on Nov. 7, 1942, almost 24 years after they'd first met at the shoe store. At the time, the United States had surged deeper into World War II. He had already joined the Army Air Corps where he rose to First Lieutenant and served for four and a half years. Returning home after the war, Keegan rejoined General Dyestuff and the family grew to include three kids. Keegan's continued success and promotion at General Dyestuff eventually had the family relocating from Charlotte for 22 years, first to Columbus, Ga., in 1948, where six more children were added to the fold before his work moved the family again, this time to Chicago, in 1966. The medical facility in Columbus didn't quite name the maternity ward for Federal, but "I was one of the best customers they had at St. Francis Hospital," she says with a laugh. After four years in Illinois, a chance opened for the family to return home to Charlotte and the Federals jumped at it. Well, most of them anyway. By that time, elder son Keegan Jr., known in the family as Bobby, was in law school at Emory University in Atlanta and getting his MBA at Georgia State. 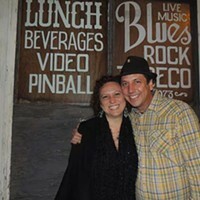 While the family was living in the suburbs of Chicago, second son Michael followed them after spending a couple of years at Loyola University in New Orleans; he chose to stay in Chicago, where he began performing his music in clubs. Michael had learned to play guitar while going through another Federal tradition – the priesthood phase – during his first three years of high school at St. John Vianney Minor Seminary, in Savannah, Ga. (Keegan Jr. and Lenny had also given the priesthood consideration.) The guitar stuck for Michael; thoughts of becoming a priest did not. Working a crowd stuck for Michael, who would soon be starring as Claude opposite Joe Mantegna's Berger in the Chicago production of Hair as the 1960s drew to a close. MICHAEL FEDERAL'S musical interests had a huge influence on the family's fifth child and third son, Lennox, named for an uncle who was the Archbishop of Salt Lake City but called Lenny by most. "I always looked up to him," Lenny says. "I always thought what he was doing was cool. He was playing and it looked like fun. He left a guitar at the house and I started to learn a few chords." But Lenny was more into sports than music at that point, and his mother has the newspaper clippings to prove it. Her scrapbook proudly includes one from 1968 that proclaimed Lenny "King of the 95 Pounders" after he won a wrestling tournament. He wound up earning a wrestling scholarship from Western Illinois University. The times, they were a changing, and Lenny never forgot the impact that one band, in particular, had on his brother upon his return. "Michael had just gone off to school," Lenny remembers. "He actually went and saw the Beatles and he came back a different guy." 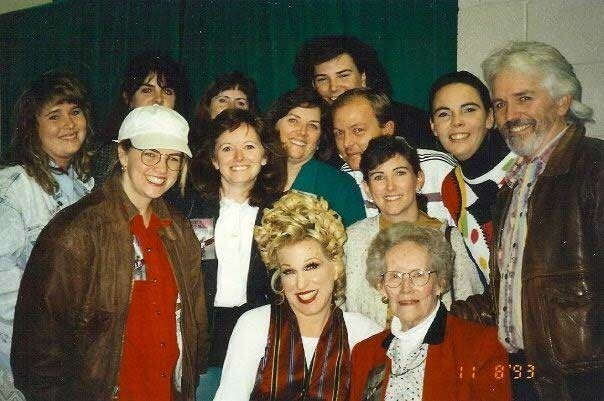 When the family returned to Charlotte in 1970, Michael's train was about to roll from the Second City to the first one, New York, where he would join Barry Manilow and Melissa Manchester in the band that made Bette Midler divine. They had met after Miss M attended a performance of Hair while in Chicago for a gig. Meanwhile, back in Charlotte, Lenny had begun hanging out at a hippie coffee shop called Muthers, run by the late John Mullis. "John was one of the first people I met when I came to town," Lenny remembers. "I tried out for his band, Trout Fishing in America [named for hippie writer Richard Brautigan's book that was popular at the time]. I enjoyed what they were doing and they said they needed a drummer. I was playing guitar at the time but onstage I was playing the drums." When the band hired a "real drummer," as Federal puts it, karma came together. Restaurant owner Nick Karres was thinking about adding live music to a joint he'd opened in 1973, the Double Door Inn. Lenny, who had been a customer there, was looking for a place to play. "Lenny is just the granddaddy of music as far as musicians who have played here," says Karres, who closed the Double Door earlier this month, on Jan. 3, after 43 years as a Charlotte music institution. "He's played here the most and the longest of anybody." When Michael eventually came home to Charlotte in 1979, he and Lenny got to know each other better as fellow musicians. Their youngest brother, Mark, became the business manager for a new five-piece band they called the Federal Bureau of Rock N Roll. As someone who grew up in Charlotte, Mayor Roberts has more than a passing knowledge of the Federal brothers in performance. "They're not just great musicians," Roberts says, "but also great personalities." Music had always been a part of the Federal DNA. Keegan Sr. loved his Irish heritage and the songs that came with it. He was quick to sing along to "Danny Boy" when given the chance, or just on a whim. Mary Virginia's sense of rhythm came from playing piano and from her ballroom dancing prowess. Their skill, desire and talent have moved seamlessly from generation to generation. Among the grandchildren, Michael's son is the front man in Case Federal and the Agents. Keegan Jr.'s daughter Cameron is a member of the Georgia-based Little Country Giants with her husband Russell Cook. 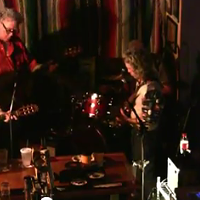 Molly's son J. Keegan Federal plays guitar; Marian's son Seth Phillips plays saxophone, while his brothers Michael and Matt both play guitar; and all of Joan's kids – Brendan, Ellen, Mary Suzanne, Kristen – can carry a tune. Lenny's son Mark knows more than a few chords but like his dad at a young age, hasn't yet decided if music is in his future. Sometimes the Federals' musical talent manifests late, as it did with Mary Virginia's third daughter, Kathleen, now 63, who started playing guitar and writing songs only a few years ago. She and her husband Barry Finnegan just returned from a trip to Nashville where they did some recording. There's so much musical talent in the family that, two years ago, the younger generation of Federals inaugurated an event called Big Ol' Happy Family Jubilee, a sort of Fedstock, to give them all a chance to play together in various combinations. Of course, the best seat in the house is always reserved for Mary Virginia. If music's connective social and healing properties run strong among the Federals, so does its sense of community, and much of that comes from the mother ship. An attorney in Atlanta, Keegan Jr. spent eight years as a superior court judge in Dekalb County. He gained national notoriety for hiring a young homeless man, who'd stood before Judge Federal on burglary charges, as a bailiff rather than jailing him. The idea was to give the man a chance to turn his life around. Ann Federal was a special education teacher for 24 years. Molly worked as a paralegal. Kathleen is the human resources director at Habitat for Humanity. Marian is senior vice president of community relations at Wells Fargo. Joan retired from work in community development for the YMCA. 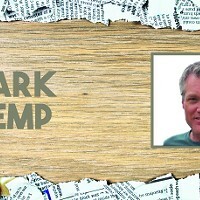 Mark works in the golf industry but spends much of his time on family efforts such as the St. Patrick's Day Parade and fundraising for the Holy Angels Home for the differently abled in Belmont. Counting husbands, wives, and children, there are a a bevy of educators, nurses, military veterans and others who chose occupations that serve others. 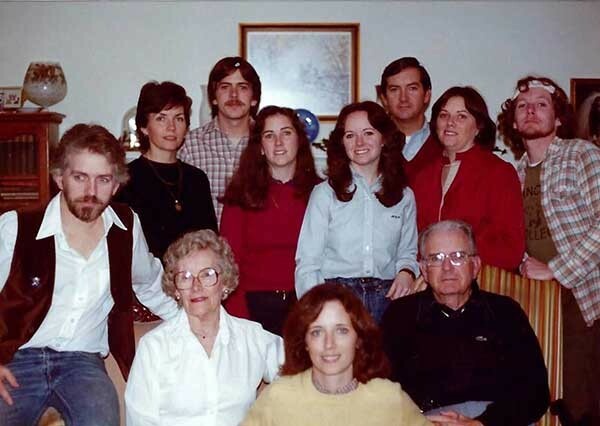 The Federal Army in the late 1970s (clockwise, from left): Michael, Ann, Mark, Joan, Marian, Keegan Jr., Molly, Lenny, Keegan Sr., Kathleen, and Mary Virginia Federal. When the common thread of this collection of vocations was brought to their attention, Ann, Joan and Marian were authentically bemused. That, perhaps, is the most special thing about the Federal Clan. They don't really see their family as all that special. And their humility starts at the top. Mary Virginia Federal is clear on how important her family is to her, but like the eye of a hurricane, she doesn't seem aware of how the swirl around her affects everything else. WOODROW WILSON was the 28th president when Mary Virginia Buckley came into the world, and it should be noted that her mother and other women in North Carolina did not have the right to vote either for or against him. That right didn't come until six months after her third birthday, when the 19th Amendment to the Constitution was finally ratified in August 1920 after 41 years in political purgatory following the time it was introduced. The struggle for women's right to vote in North Carolina was a precursor to the state's current legislative agenda of plus ça change, plus c'est la même chose, the French writer Jean-Baptiste Alphonse Karr's realization that the more things change, the more they remain the same. When presented with the opportunity to be the 36th and final state necessary to ratify the amendment in 1920, more than half of North Carolina's legislature showed its proclivity to be on the wrong side of history by sending a telegram to the Tennessee representatives who were also in session, asking them to stall against the inevitable. The Volunteer state decided not to piss into the wind, and women across the country, including in North Carolina, received protection against voting discrimination by gender, no thanks to our state's leaders. In Mary Virginia Federal's lifetime, there have been 25 presidential elections and she's been eligible to vote in 20 of them. Her first after turning 21 was in 1940, when Franklin D. Roosevelt defeated Wendell Willkie for a third term. She voted last November and says she has cast a ballot in every election she's been able to. "My dad was very interested in politics and he wanted his children to be interested in their country," Federal says. Not identifying herself as Democrat or Republican, Federal takes the privilege seriously and says she votes for the person over the party. When asked about the most recent presidential election, Federal's disappointment in how far down the process has sunk in her lifetime is unmistakable. "I think he's the most disgusting person I've ever heard on television," she admits when pressed for an opinion. "He's so disrespectful to everybody. I'm just so sorry that he won." She repeats the word sorry several times. Mary Virginia Federal's granddaughter Caroline, Michael's daughter, has already worked for two former presidents, Jimmy Carter and Bill Clinton. She first interned at the Carter Center for Human Rights in Atlanta, and more recently has held several positions at the Clinton Global Initiative. Since then, the Appalachian State University graduate earned her Master's in comparative politics at the London School of Economics and is now at the Massachusetts Institute of Technology, where she is part of an MIT program targeted to bring diverse talent together to explore and find workable solutions for global issues. Caroline's grandmother is proud of her. Although Mary Virginia Federal once claimed she didn't want to live to see her centennial birthday, that's all changed now. 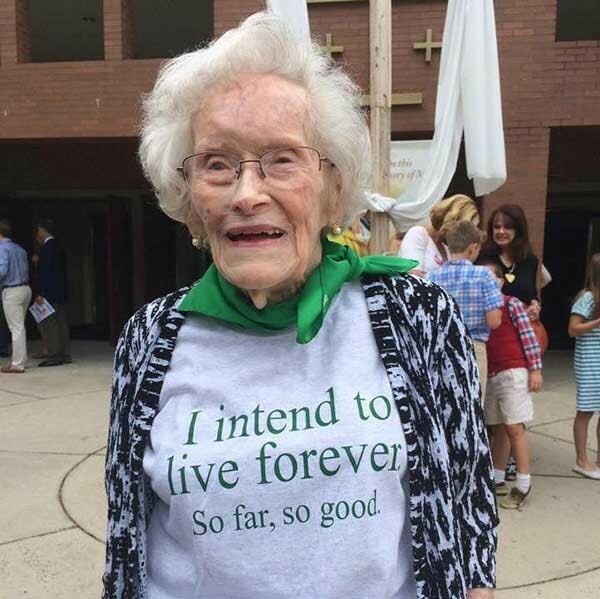 Today she sports a t-shirt that reads, "I intend to live forever." Mary Virginia may not have lived to see Hillary Clinton become the first female president of the United States – and Federal says she doesn't want the job herself (we asked) – she just might see her granddaughter take that job. Wouldn't that be a nice birthday gift to hang around for? As the Irish might say, "Ar scáth a chéile a mhaireann na daoine," loosely translated as, "It is in each other's shadows that people survive"